It looks like new iPads weren’t the only surprise Apple had up its sleeve for us this week. 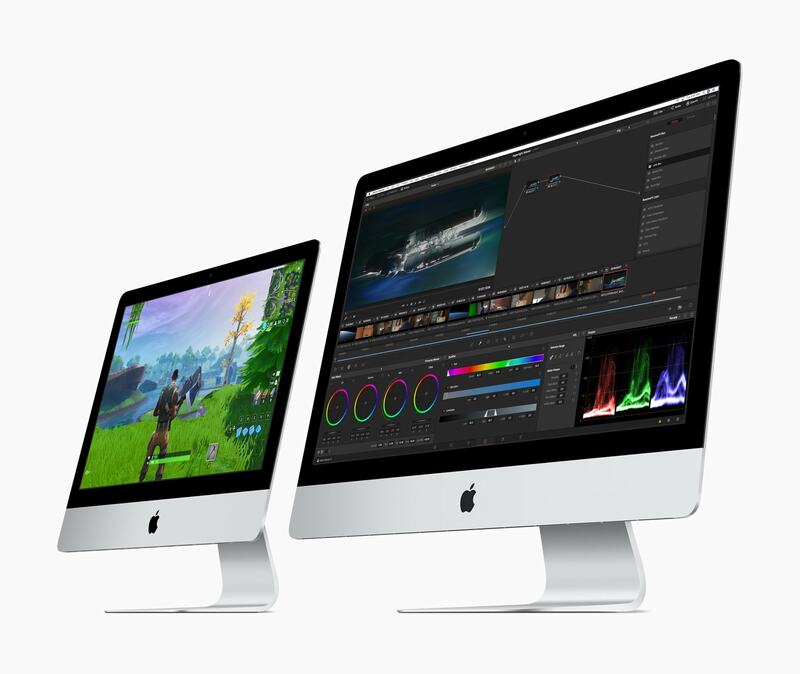 A welcome update to the iMac that brings AMD Radeon Pro Vega graphics for the first time is now available. Its external design remains the same, but it’s a different beast on the inside. It’s been a while since Apple updated the iMac, so fans have been patiently awaiting a nice refresh. We assumed it would happen at WWDC in June alongside an update to the iMac Pro. But much to our delight, it’s here — and better than ever. The new iMac is available in the same 21.5- and 27-inch sizes we’re already familiar with. The smaller model now features eighth-generation Intel chips with up to six cores. They promise up to 60 percent faster performance than the previous iMac. The new 27-inch machine is even more impressive. It’s available with ninth-generation Intel chips with up to eight cores, delivering up to 2.4 times faster performance for the heaviest workloads. Both machines can be equipped with Radeon Pro Vega graphics. They bring up to 80 percent faster performance to the 21.5-inch model, and up to 50 percent faster performance to the 27-inch model. The new iMac will knock your socks off. All of this is combined with the iMac’s gorgeous hardware, and the industry’s best 4K and 5K Retina displays. They boast up to 14.7 million pixels, 1 billion colors, and 500 nits of brightness. Sadly, though, we’ll have to wait longer for edge-to-edge screens with slimmer bezels. 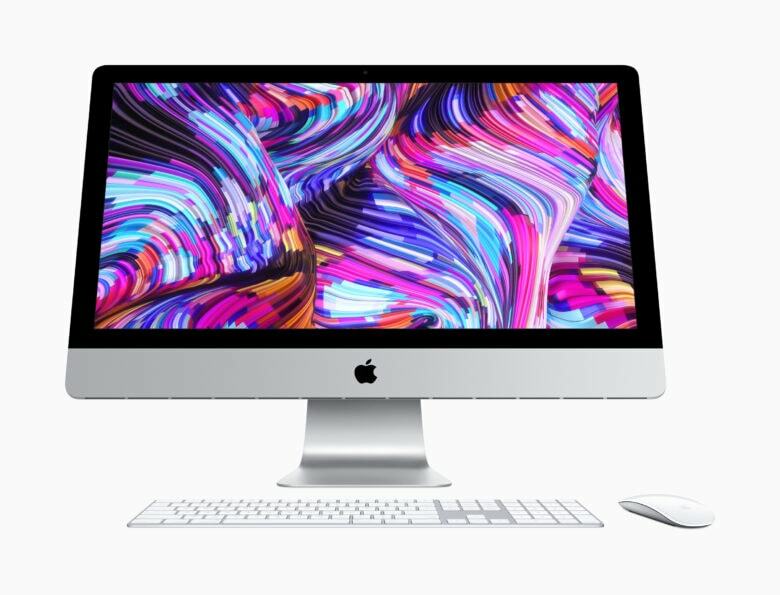 The new 21.5-inch iMac with a Retina 4K display starts at $1,299. That gets you a quad-core Core i3 clocked at 3.6GHz, 8GB of RAM, a 1TB hard drive, and Radeon Pro 555X graphics with 2GB of memory. For the high-end model with Pro Vega graphics, you’ll be coughing up at least $1,849. The new 27-inch iMac with a Retina 5K display starts at $1,799. It comes as standard with a six-core Core i5 clocked at 3GHz, 8GB of RAM, a 1TB Fusion Drive, and Radeon Pro 570X graphics with 4GB of memory. The upgrade to a faster machine with Pro Vega graphics starts at $2,749. You can order your new iMac today from Apple.com. They will be available from Apple retail stores and Authorized Resellers from next week. The entry-level 21.5-inch iMac without a Retina display is still available for $1,099.